This is the home of actors Corbin Bernsen and Amanda Pays. A super comfortable and eclectic home that the couple, along with their four boys, have decorated themselves. Vintage flea market finds mix with new items from Pottery Barn and West Elm. 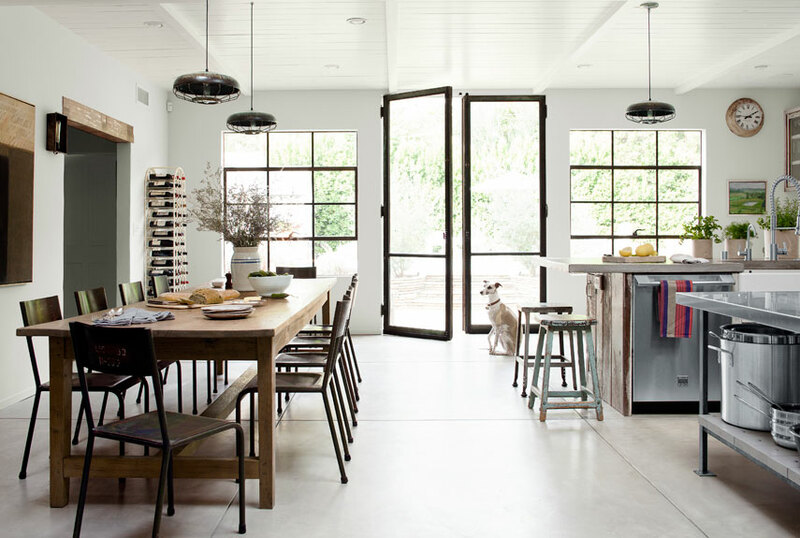 I really love the kitchen with the reclaimed barn wood cupboards and the metal school chairs. The concrete counters look fantastic as do the lights and backsplash tiles from Morocco. Great hits of colour throughout the home make it a really cozy space..